"According to a study by Alexander Wissner-Gross, PhD, physicist at Harvard University and environmental activist, an average website causes about 0.02g (0,0008oz.) of carbon dioxide for each visit. Assuming an average blog gets 15,000 visits a month, it has yearly carbon dioxide emissions of 3,6kg (8lb.). This can mainly be tracked back to the immense energy usage from (mainframe) computers, servers, and their cooling systems." Wow! Did you all know about this? Mommy says it's bad and when I grow up, the world as I see it now probably won't be the same anymore if this goes on plus another thousands little environmentally un-friendly activities we do everyday! Tok Abah teaching me about tress! I love GREEN! So, I'm taking this initiative to make my blog a carbon-neutral one. It's cool and it's free! One day, Mommy and Dadda received an e-mail from Germany. They stumbled upon my blog and told us about their project. Cool eh? I'd never thought that people in Germany would be interested in my blog! Hahaha! Anyway, a young team in Germany is apparently working for an initiative called "Make it green!". They are doing their part in reducing the carbon footprint by raising awareness of the severe environmental damage caused by carbon emissions. One of their activities is to raise awareness of the carbon emissions resulting from the use of the internet - specifically of blogs. So, after going to their website and read about the whole thing, we feel that we could take part in this beneficial activity. 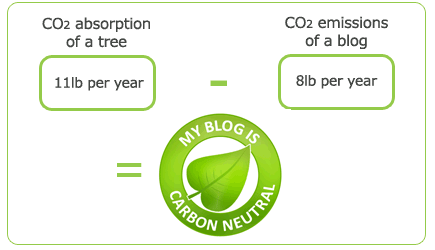 So, how do they actually neutralise my blog's carbon footprint? Well, they will plant trees in cooperation with the Arbor Day Foundation in Plumas National Forest in Northern California for their project to neutralise the carbon footprint of blogs. Thousands of wildfires burned down many national forests over the past ten years and 88.000 acres of Plumas' were destroyed by two fires in 2007. (I'm so glad that we don't have major forest wildfires in Malaysia... imagine all those trees that got destroyed!). To help replanting they need the support of bloggers from all over the world! For every participating blog, they plant a tree. One blog - one tree. So this post will give them 1 more tree! I hope anyone reading this will do the same. Maybe someday, the same initiative can be done in other parts of the world too! Let's conserve our environment so I can play with nature even more! So, everyone, let's "Make It Green! ".